BOOM! 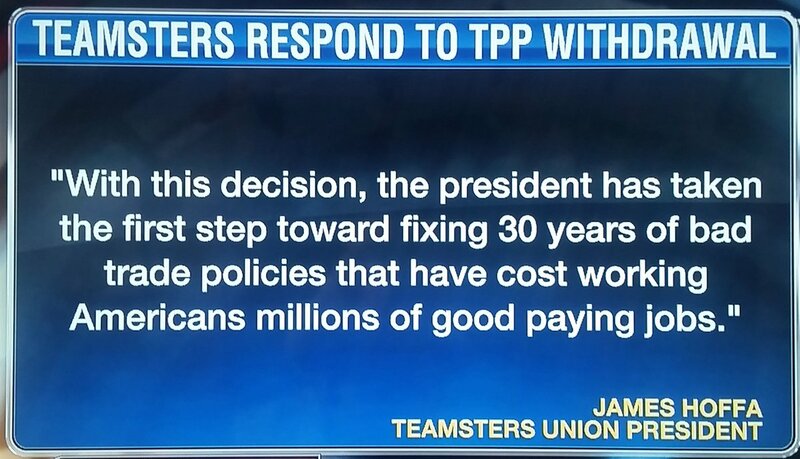 Teamsters Respond to TPP Withdrawal - PRAISE TRUMP! BOOM! 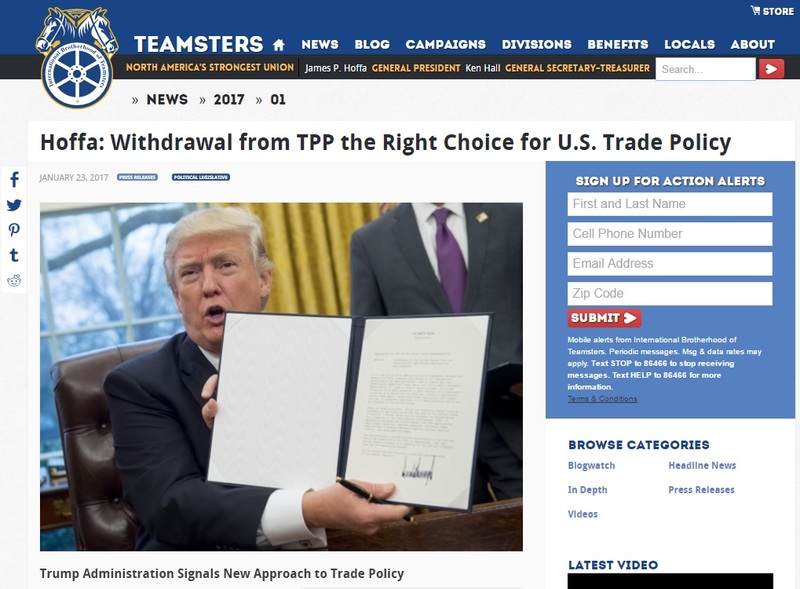 Teamsters Respond to TPP Withdrawal – PRAISE TRUMP! Hoffa released a statement this afternoon praising President Trump for defending American workers.